This lab activity requires students to collect chemical, physical, and biological data from a local lake throughout the year. The data will be contrasted with parallel data from an ice-covered lake in the Dry Valleys, Antarctica. 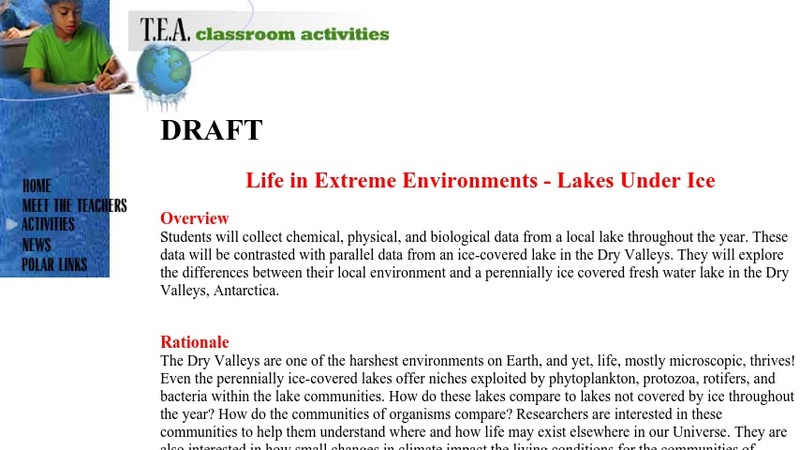 Students will then explore the differences between their local environment and a perennially ice covered fresh water lake in the Dry Valleys. This resource, available in both HTML and PDF, includes a teacher preparation activity, teaching sequence, background information, research activities, and reproducible student handouts.